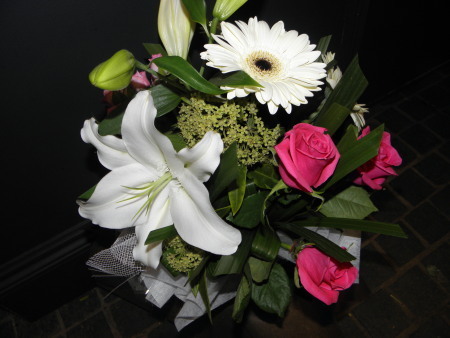 Put a smile on someone special`s face with Amaranthine`s Just Because Arrangement. A fragrant and elegant display of oriental lilies, roses, gerberas, spray roses and lush green foliages make this a stylish and unique arrangement. Created by Amaranthine Flowers By Design, Charlestown Square, Newcastle. Same day delivery available to all areas of Newcastle, Maitland and Lake Macquarie. Including John Hunter Hospital, Newcastle Private Hospital, Lake Macquarie Private Hospital, Maitland Hospital and Mater Hospital, seven days a week.